As you recall, during the program Focus participants receive a Certificate to come back anytime within the next 5 years and sit in on the Seminars again for free. Please complete the A-La-Carte Choices form below to register. We will send you the Program Itinerary a few days before the program. Once you choose your options and press ‘Submit’ below, you will receive a confirmation email from us. You may wish to print the confirmation to remind you of the options chosen. To assist with the payment process, Focus will invoice for the A-la-Carte program. If you have indicated above an interest in other Tour Excursions or special needs, Ana will be in touch with you directly. Feel free to also contact Ana for any assistance or to ask for any special arrangements. 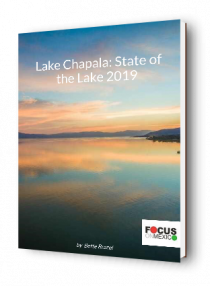 Get the essential information and advice you need to decide if Mexico - and Mexico's Lake Chapala area - are right for you. We specialize in educational programs and services to make your next chapter in life the most rewarding ever! Find out more about Focus here. 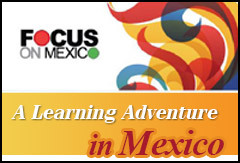 Sign up below to get helpful tips & information on moving to Mexico. On your Journey of Discovery to retire in this land of enchantment, we cover topics that will be important to you…immigration, health options available in Mexico, legal and financial topics, and information that will guide you through the decision-making process of buying or renting a house, options for moving, bringing your pets, and a myriad of other details that we have collected during Focus on Mexico’s 20 years of experience guiding our participants through the Lake Chapala area.